From a house whose roof is made from seaweed and driftwood, to a town hall that serves as a physical bridge over a river, there is no shortage of buildings that are designed to blend into their surroundings. 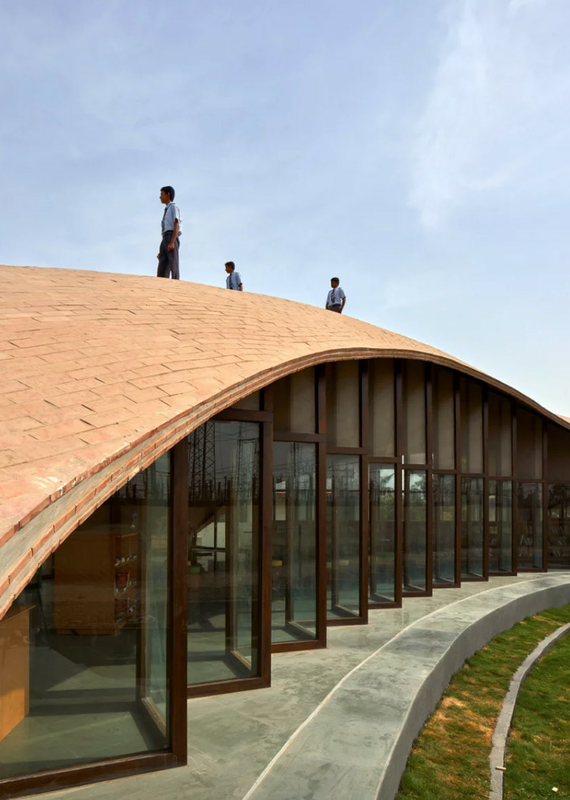 This school library in India is continuing the tradition with a sloping shape that merges with the ground. Mumbai-based architecture firm sP+a designed a library for a school in Kopargaon, in the state of Maharashtra, to fit into a narrow space between the school’s existing buildings. 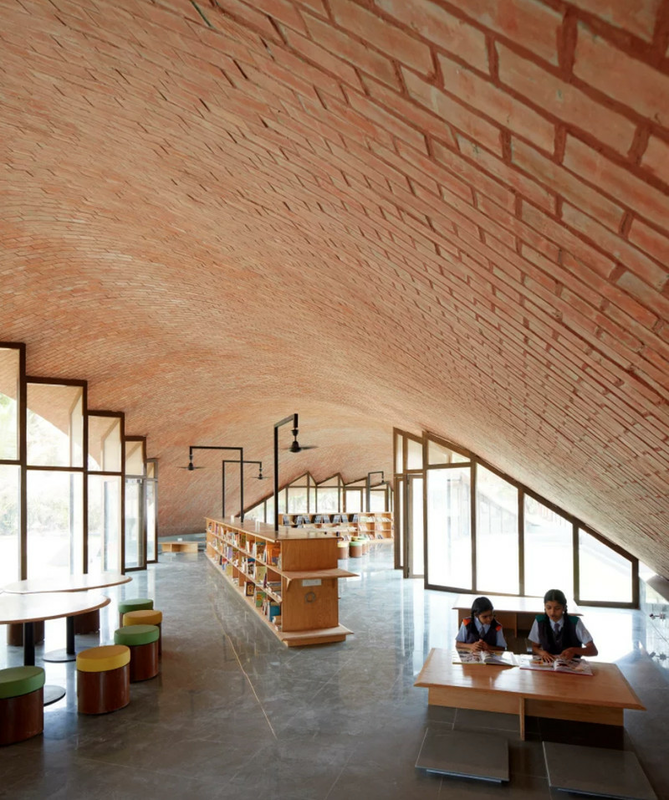 The result is a vaulted brick structure that rises into a mound-like extension of the ground that people can walk over. The architects say they arrived at the library’s final form through a combination of low-tech and high-tech processes. 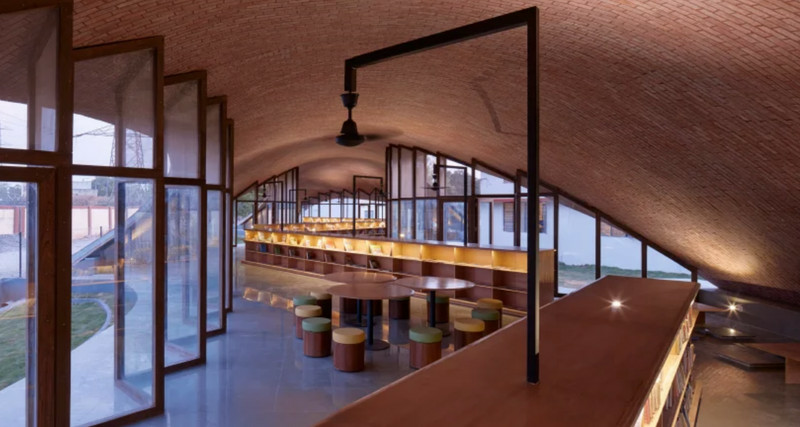 The arched shape is inspired by 16th-century Catalan tile vaults that were popularized by the 19th-century Spanish architect Rafael Guastavino. The vault’s actual shape was created with a special rhinoVAULT plug-in that allows the library’s arched shape to rely on pure compression.